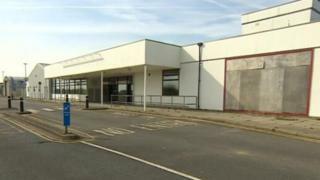 A public inquiry is to be held into plans to change the use of buildings on the Manston Airport site to non-aviation use, the Planning Inspectorate has ruled. Thanet council has been told an appeal hearing to consider four planning applications will not go ahead. It said inspectors decided the matter was "too complex and controversial" for a hearing and an inquiry would be held. A date for the inquiry has not yet been set. The council said inspectors also felt evidence needed to be "properly tested through formal questioning" and cited the "likely number of participants" as other reasons why a hearing would not be suitable. The airport closed two years ago and new owners Stone Hill Park submitted a formal planning application for the redevelopment of the site in May. It wants to build homes, two schools, shops, a hotel and leisure facilities and an engineering and hi-tech manufacturing business park that will create 2,000 jobs. US investment firm RiverOak wants to re-establish the site as an airport, and has applied for a Development Consent Order (DCO) on the basis that the airport is "a project of national significance". It has been holding the first of a series of sessions at Broadstairs Pavilion showing its plans. Stone Hill Park was unavailable to comment further.